Fans can now add DC Comics’ King of Atlantis, Aquaman, to their wall as played by Jason Momoa. The Aquaman MightyPrint is now available to order through Amazon. 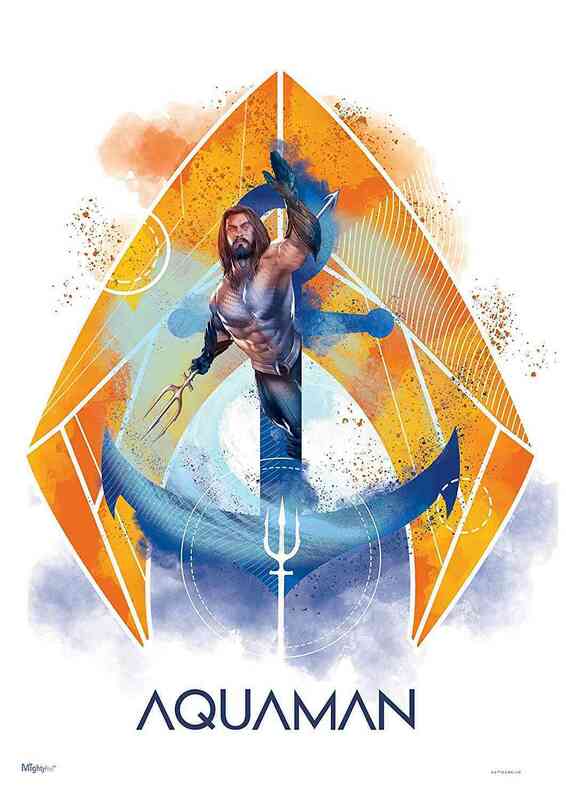 The Aquaman MightyPrint was previously released at San Diego Comic-Con. Aquaman is still a few months from release, but the first reactions from test screenings sound promising. During a press visit to the Aquaman set, DC Films revealed the main quest that Arthur will be going on in his first solo film. "Aquaman goes on this quest to find out where the true trident, the king's trident, is," Aquaman's unit publicist Ernie Malik said. The Quindent Aquaman used in Justice League is "not this trident, the dead king's trident, which is really the trident you want. With this trident, you can control the whole ocean, everything. But only a true king can wield it in their culture." "From Warner Bros. Pictures and director James Wan comes an action-packed adventure that spans the vast, visually breathtaking underwater world of the seven seas, Aquaman, starring Jason Momoa in the title role. The film reveals the origin story of half-human, half-Atlantean Arthur Curry and takes him on the journey of his lifetime—one that will not only force him to face who he really is, but to discover if he is worthy of who he was born to be... a king." Are you excited about Aquaman? Let us know in the comments! Other upcoming DC Extended Universe movies include Wonder Woman 1984 on Nov. 1, 2019, Shazam on April 5, 2019, Cyborg in 2020, and Green Lantern Corps in 2020.